Power in numbers! I believe the reason they finally apologized and took accountability was because of everyone rallying together and fighting for this mom. Originally they weren’t taking that much accountability, they apologized, but proceeded to delete comments in favor of the mom and left the comments in favor of the Hospital. Then they deleted the apology all together, and then re-posted it. I want to personally thank everyone who supported this mom! 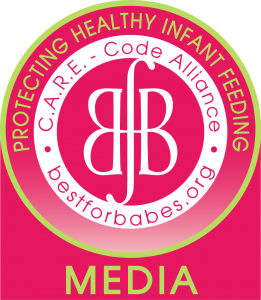 If you want to keep up with all the updates as they happen feel free to join my new group Breastfeeding Moms Fight Back. At the moment we’re in the process of setting up a Nationwide Nurse-In.. Feel free to like Breastfeeding Moms Fight Back Public Page as well.